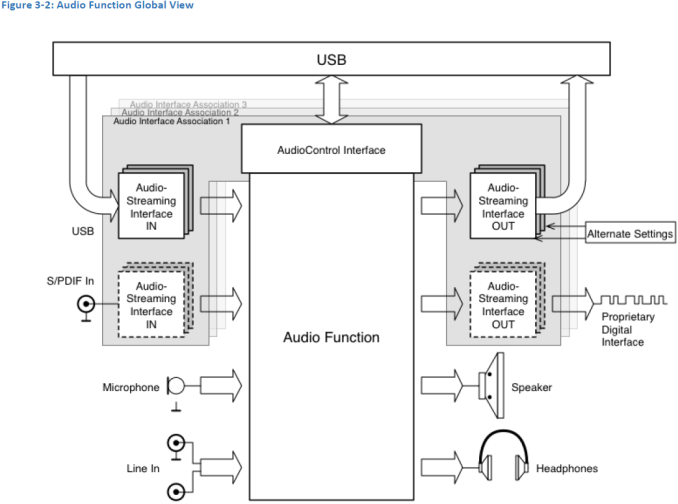 The USB Implementers Forum this week published the USB Audio Device Class 3.0 specification, which standardizes audio over USB Type-C interface. The new spec enables hardware makers to eliminate traditional 3.5mm mini-jacks from their devices and use USB-C ports to connect headsets and other audio equipment. Makers of peripherals can also build their audio solutions, which use USB-C instead of traditional analog connectors. Developers of the standard hope that elimination of mini-jacks will help to make devices slimmer, smarter and less power hungry. The industry, led by Intel and some other companies, has been mulling about replacing the traditional 3.5mm mini-jack connector for some time now. 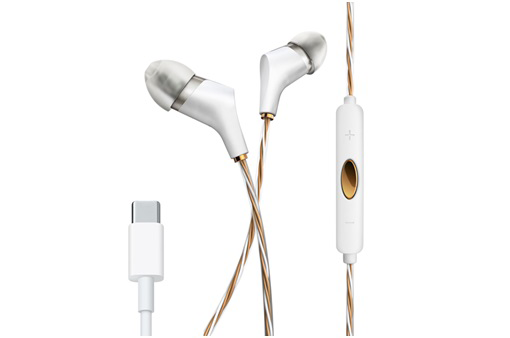 The main motives for replacement were necessity to simplify internal architecture of devices by removing analog and some audio processing components from the inside (which leads to further miniaturization), minimize the number of external connectors, improve power management as well as to add smart features to headsets and other audio equipment. We discussed USB Type-C Audio Technology briefly earlier this year and mentioned that this is not the first time that the industry has tried to use USB instead of the good-old mini-jack. The important difference between contemporary initiative and attempts in the past is the fact that today the primary goal is to replace the 3.5mm jack in portable devices. 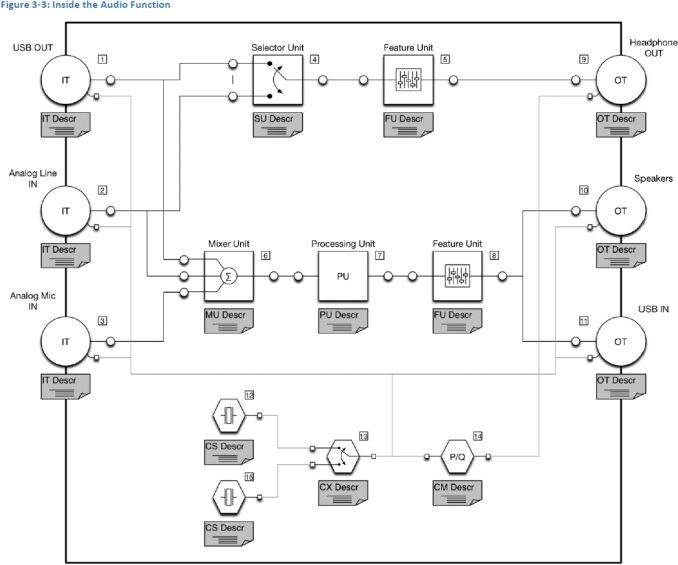 As reported, the USB Audio Device Class 3.0 specification supports both analog and digital audio. Analog audio is easy to implement and it does not impact data transfers and other functionality of USB-C cables since it uses the two secondary bus (SBU) pins. Some device makers may find the analog audio feature of the standard to be a relatively simple way to add certain smart capabilities to their headsets without major redesign of hosts. While analog USB-C audio will not help to shrink dimensions of portables, it could be particularly useful for non-mobile devices, where miniaturization is not crucial, but where port space is at a premium or where additional features either make sense (infotainment, sport equipment, etc.) or are fundamental (VR HMDs). The USB ADC 3.0 defines minimum interoperability across analog and digital devices in order to avoid confusion of end-users because of incompatibility. In fact, all ADC 3.0-compliant hosts should support the so-called headset adapter devices, which allow to connect analog headsets to USB-C. However, digital audio is one of the primary reasons why companies like Intel wanted to develop the USB-C audio tech in the first place, hence, expect them to promote it. 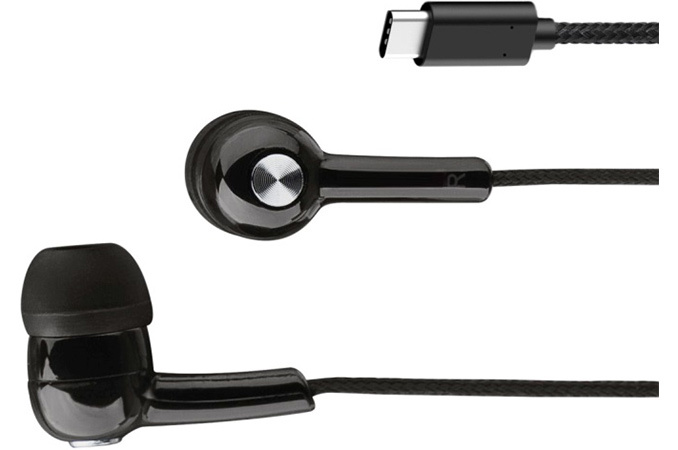 According to the USB ADC 3.0 standard, digital USB-C headphones will feature special multi-function processing units (MPUs), which will, to a large degree, define the feature set and quality of headsets. The MPUs will handle host and sink synchronization (this is a key challenge for digital USB audio), digital-to-analog conversion, low-latency active noise cancellation, acoustic echo canceling, equalization, microphone automatic gain control, volume control and others. Such chips will also contain programmable amplifiers and pre-amplifiers, which are currently located inside devices. Besides, USB ADC 3.0-compatible MPUs will also support USB Audio Type-III and Type-IV formats (the latest compressed formats), but will retain compatibility with formats supported by ADC 1.0 and 2.0. Finally, among the mandated things set to be supported by USB-C Audio devices are new Power Domains (allows devices to put certain domains in sleep mode when not in use) as well as BADD (basic audio device definition) 3.0 features for saving power and simplified discovery and management of various audio equipment (each type of devices has its own BADD profile). Over the past few months, Conexant has introduced three USB-C Audio MPUs (1, 2) for headsets, docking stations and other equipment. Assuming that these chips are compliant with the USB ADC 3.0 specs from a hardware standpoint, and the software is ready, actual devices featuring USB-C Audio could arrive in the coming months. Pricing of the first USB ADC 3.0-compliant MPUs is unknown, but in general MPU ICs do not cost too much. Moreover, as developers adopt smaller process technologies and a larger number of such chips hit the market, their prices are going to decline. In the end, it will be interesting to see where digital headphone prices end up. The MPUs will definitely add to the total bill of materials for a set of headphones, but at the same time they add new functionality as well, so the big question is how manufacturers then factor all of that into device pricing. A number of companies, including Apple and LeEco, have already introduced smartphones that do not use traditional mini-jacks, and Google added support for USB DAC devices to Android over a year ago. The finalization of the USB ADC 3.0 spec, introduction of USB-C audio ICs, as well as design decisions of smartphone makers demonstrate that the industry is trying to eliminate 3.5mm jacks from mobile devices. The big question is whether the rest of the industry plans to do the same. It is true that portables are primary devices for music listening for many people. However, there are tens of applications which still rely on analog connectors, and hundreds of millions of people who use them either to consume or create content. To eradicate 3.5mm jacks completely, USB-C Audio promoters will have to work with thousands of vendors and this takes time. Consequently, it is too early to say that this is the end for the good-old mini-jack. Images by Conexant, USB IF. Lol, less power hungry? Yeah, right, bs. Who's going to power the internal audio speakers and earpiece? Of course it's not. USB-C audio is nice, and all, but it's just a cash grab. The only people who would benefit from it, i.e. audiophiles (because normal headphones will not benefit an iota from being USB-C in the first place, they're too small and/or made with parts not able to capture the extra clarity the dedicated DAC would allow), have been using external USB DACs for years, now. They'll probably have a little bit less latency, but that's about it. Everyone else will either A) buy USB-C headphones, thus having to spend more money for something they already had, especially because since USB-C can handle analog audio, you might just be getting some "premium" USB-C headphones that are basically analog headphones with a USB-C plug; or B) have to fumble with fragile USB-C to 3.5mm adapters, again having to spend more money, potentially multiple times, with zero gains. "outside of extreme budget models they're likely to spend the extra $0.50 on the BoM for a high power efficiency DAC"
"outside of extreme budget models they're likely to NOT spend the extra $0.50 on the BoM for a high power efficiency DAC"
This is an offensive and anti-customer scam to be sure. So now we have redundant DACs in EVERYTHING. The phones have to have DACs in them to provide sound to their own speakers... so Apple hasn't offloaded the work at all; it simply blocked access to it. And now many manufacturers will repeat Apple's blunder of blocking access to the sole power port with this asinine audio dongle? Want to listen to music on your road trip? NOPE. You can listen OR charge... but not both. Oh for crying out lout, nothing is being blocked. Stop the hysteria. Every time something new replaces something old we get people who can't understand why, and think it's some plot and will destroy everything.